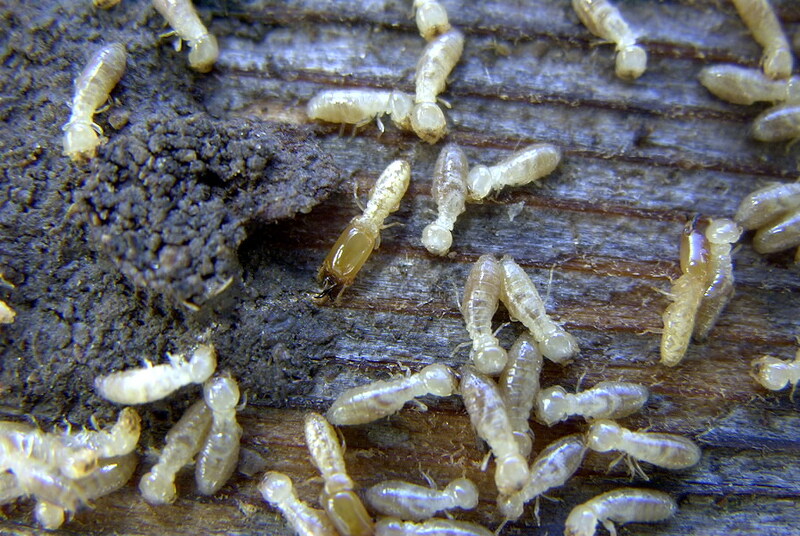 The eastern subterranean termite is probably the most widely distributed termite is the United States. Damage done by these termites adds up to millions of dollars each year. The dark headed ones in the picture above are called solders that guard the colony from invasion against predators such as ants. They are wingless. The light colored ones shown above are called workers. These are the only ones that destroy your property. The workers are wingless and the only ones with the mouthparts to actually digest the cellulose material with protozoa in their gut. Not shown above are the swamers or reproductives and swarm out each year to start new colonies. The swamers are dark in color, have wings but do not do damage.